Scalability is a storage term that needs to be reassessed when it comes to Big Data and current compute models. Simply stated, cloud computing, virtualization, and business analytics have different requirements for scalability of storage than previous datacenter or local area network paradigms. DDN has developed solutions for how Big Data can be optimized for private and public Cloud Computing, as well as setting a path to Exascale computing. 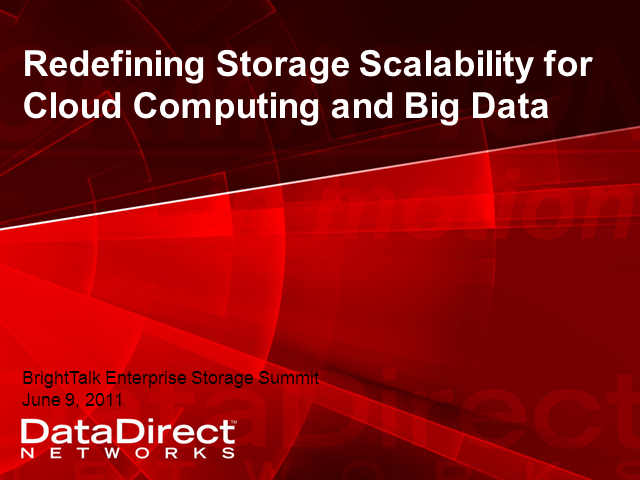 Join DDN to discuss new approaches to storage scalability, and become part of the dialogue around how to remove Big Data storage scalability as the bottleneck in your workflow.